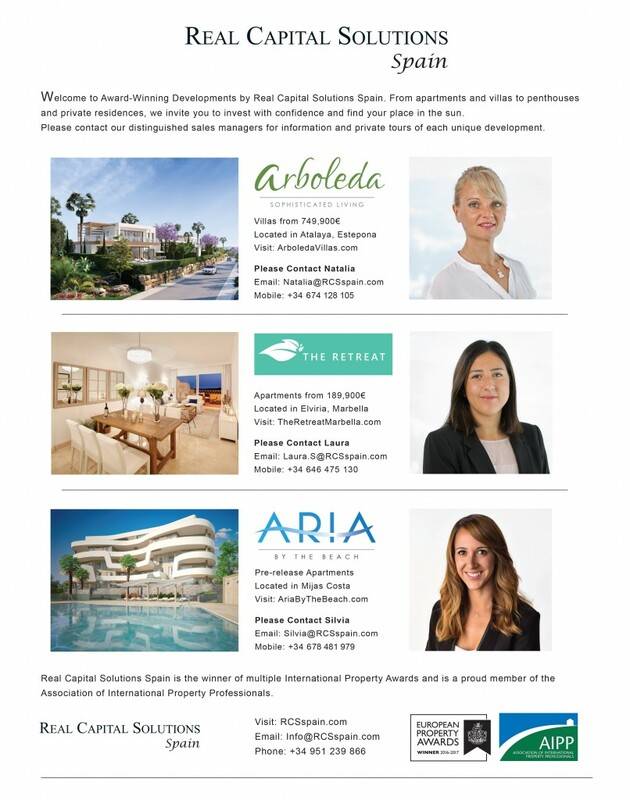 From apartments and villas to penthouses and private residences, we invite you to invest with confidence and find your place in the sun with Real Capital Solutions Spain. Please contact our distinguished sales managers for information and private tours of each unique development. American real estate expertise to the Costa del Sol.